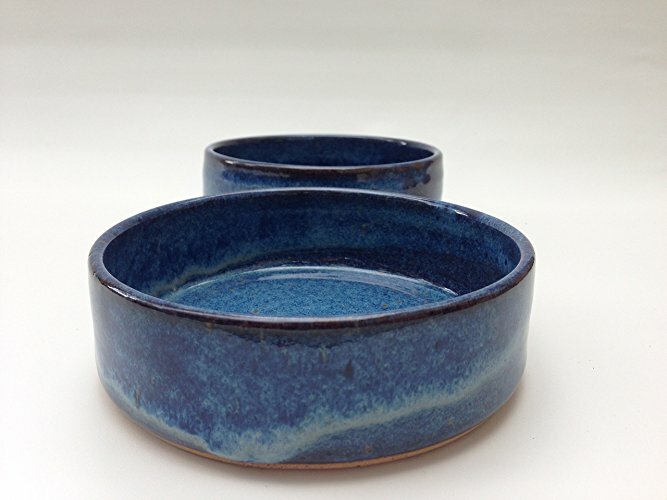 This small bowl makes a terrific dish for feeding your small dog or cat. 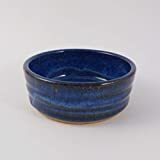 This cat food bowl is hand-thrown and fired in a beautiful floating blue glaze. The beautiful dish is perfect as a dish for dry food, wet food or water for your cat or small dog. It is pleasing enough to sit out all the time on the floor for your pet. It is a functional piece and is dishwasher and microwave safe. This item is handmade here in the USA.